Web browsing consists most of the time spent on the computer for the majority of users. The vast reach on the internet has made it the essential need for most of us. It has so much utility that a web browsing software remains the first thing we open after booting the computer. For users spending more time on web browsing or programming, Linux remains their first operating system choice. As Linux is an open source, many web browsers are available for it. Here is a list of best browser for Linux and their comparison from a full-time Linux OS user. Google Chrome has the biggest number of users than any other web browser. The reason is, it is fast, safe, responsive and user-friendly. No matter whether you are using an android, Mac or Windows device, the browser is available across all platforms. Google has made Chrome an unbeatable component when it comes to web browsing. The never-ending list of extensions and customization options makes it a complete software. If you are a heavy user and likes to simultaneously run many tabs, chrome is a good option as it efficiently manages system resource in order to provide smooth performance. Apparently, you can open any as many tabs you need without facing any issue with Chrome. Also, the synchronization is one of its best feature which lets you use one account to access all your browsing preferences, extensions, history and bookmarks from any device you use. The Page loading time is fast and Google search is fast. Inbuilt support for flash, video, document, and pdf files is there for user convenience. The latest version of Firefox that aims to provide a premium browsing experience and comes closest to Chrome in terms of the smooth browsing experience. The Firefox Quantum browser provides a better RAM management than Chrome browser. The official website claims that Firefox Quantum uses 30% less memory than chrome. Talking about features, the browser supports synchronization, pdf and other document formats and flash. Private browsing is also supported. Chromium is an open source software and is constantly improved by the contributions of developers across Linux community. The Chromium browser is perfectly suited for developers as well as the common user as it offers all the functionality of Chrome browser. Its features include support for apps, bookmarks, private browsing. The online developer also works on Chromium OS that provides an ideal platform for people spending most of the time on the web. Although the features are mostly similar to Chrome there are some minor variations. All the apps of chrome are supported with additional developer mode to upload your own extension. If you have used Opera on Windows previously then you will also love this new Opera browser for Linux also. Its new user interface gives a fresh browsing experience on Linux. It supports multiple themes and add-ons to ease up your day to day tasks. Also, it contains some inbuilt application like facebook messenger and WhatsApp web. While the browser offers a feature-rich browsing experience, it does it at the cost of speed. It can get slow sometimes making it unsuitable for heavy users. The feature like add-ons, torrent, you can access your PC drives and much more. Its unique interface and a ton of customizable options make it a worth try. Midori is an open source web browser specially designed for a specific Linux distribution, The Elementary OS. This Linux distro has been designed for breaking the stereotype of Unix based system that it is not the user-friendly and old school. 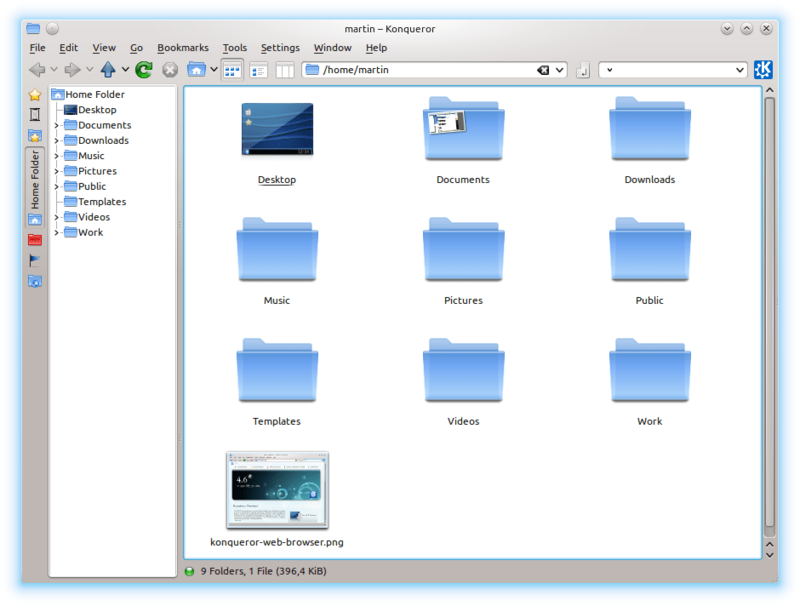 But Elementary OS has most beautiful user interface ever seen on any other distro till date. Although reports about the stability of the OS often comes into question, there is emerging user base for Elementary OS. 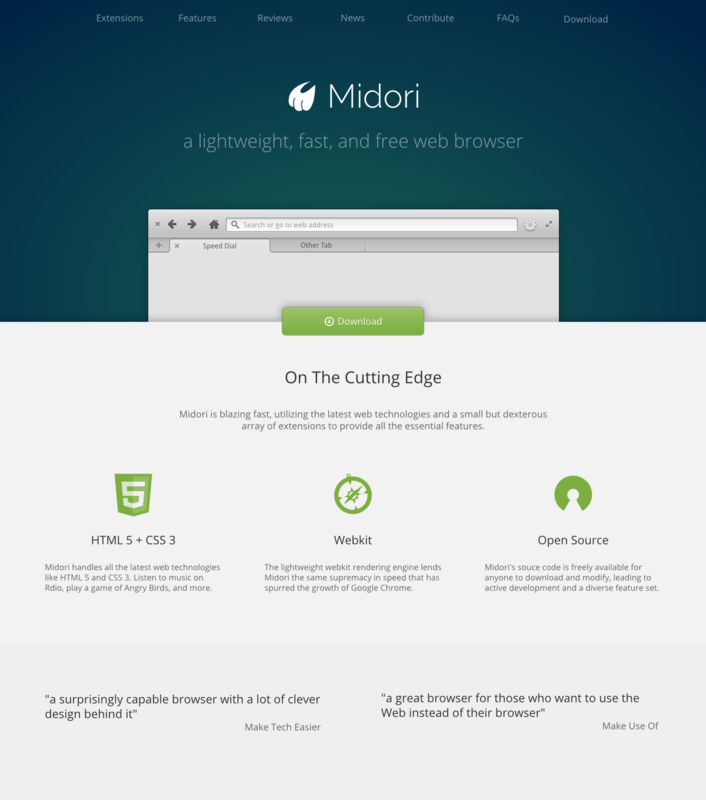 Midori Provides a minimalist interface with fast performance. Midori is lightweight and consumes less RAM and processor. The browser offers a fast page loading and a fresh design. Though there is less number of extensions and apps available still the web browser stands as a solid software for Linux users. 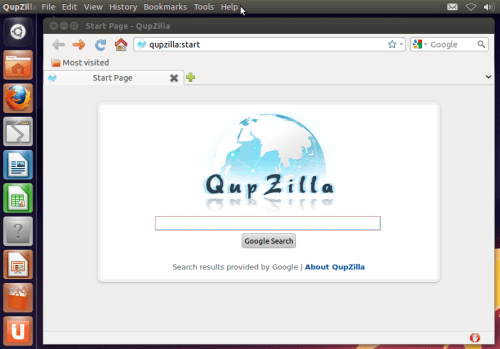 QupZilla is also one of the best web browsers for Linux. This also takes less space in memory and load the site fast. If you are having less space in memory than this browser os the best alternate option. Same as chrome and firefox add-ons and extension is also available for this browser. QupZilla famous for its performance optimization, memory, and other factors. Konqueror is the another one in this series. This is a multi-purpose browser, you can use it as the file manager or for web Browsing purpose. The file manager is robust and makes it a powerful tool for network folder access. Pale Moon offers a beautiful home page and swift performance. 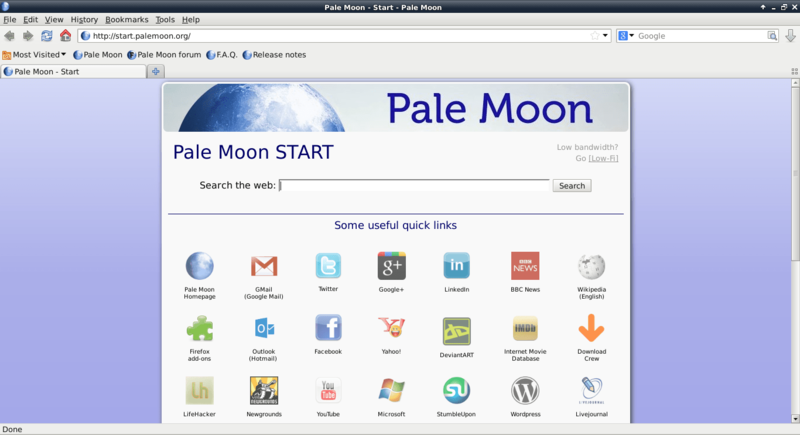 Pale Moon based on Mozilla also developed in C/C++ open source code. It is an alternate to Mozilla on Linux. This browser focused on speed optimization features and auto-parallelization features, utilizes Microsoft C Compiler’s speed optimization. Also, it removes unnecessary add-on features which are not required like, crash reporter, accessibility hardware features, and targets Windows Vista and later OS. Tor web browser is not the most user-friendly and feature-rich browser but when it comes to online security and anonymity it ranks first among all other browsers. Tor disables most of the functions by default that is available on other browsers like flash support or plugin support. The browser supports encrypted and secure connection by default. Making it ideal for users concerned about online security. The strong security protocols used makes it slow. 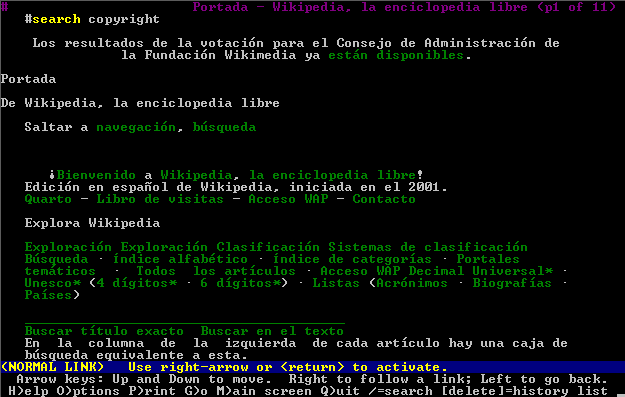 This is text-based browser and runs on the terminal. If you are wondering why would anyone use lynx for browsing, this is only used when your web browser is not working and you don’t have high-speed internet connection. This browser only shows text from the site so it won’t need a high-speed net for that. This browser developed in C and is an open sources too. It doesn’t support java scripts, video, image, and any other multimedia format. These are the best Linux web browsers also Open sources browser for Linux available as a freeware. If you have any other browser apart from these, please share with us through comment.